Starting proceedings in hall 6.2, stand E50 on Tuesday 15 May will be the Wrap Masters Europe, with 36 wrappers battling it out in a series of timed wrapping competitions. The winner and two runners up of the European Series will then go on to compete in the World Wrap Masters Final on Thursday 17 and Friday 18 May. The World Wrap Masters Final will see the three finalists from the European competition compete against winners from Russia, South Africa, Finland, Denmark, Brazil, Mexico and Turkey, who have already qualified for the final in the regional heats at FESPA Asia, FESPA Mexico, FESPA Africa, FESPA Brasil and FESPA Eurasia. The finalists will wrap cars, as well as other challenging items, which will be announced on the day to add an element of surprise for the competitors. 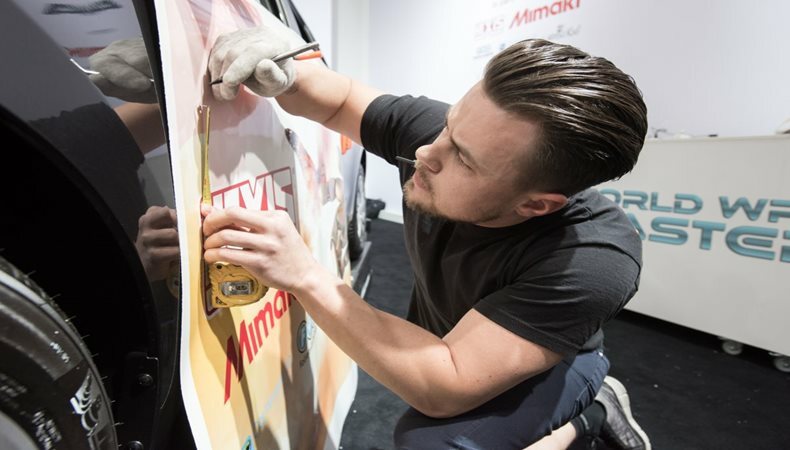 The competition, which is sponsored by HEXIS, Mimaki, Carwrapper 3D, F&Z Foliant and Wrappingking will be judged by vehicle wrap experts. Certified HEXIS installer, Martina Lorenz of AQASIO Folienverklebung, Germany, joins the judging panel for the first this year alongside wrap aficionados Jeremy Conner, Owner of Who Did That!?! from the USA and Kiss ‘Luigi’ Lajos of Fixfolia from Hungary. For more information on FESPA Global Print Expo 2018, visit: www.fespaglobalprintexpo.com For free entry use code FESM812 when registering.